Only men who live in a bubble would not know about Propecia risks by now. ”How many men who are considering taking a hair-loss medication are reading a medical journal? Not only are there warnings on television, from commercials to the evening news, there were recently 4.4 million tweets involving @Merck and a Propecia victim. 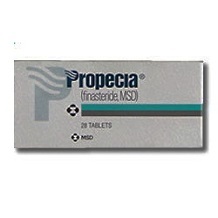 Almost four years ago, JAMA (The Journal of the American Medical Association) reported that finasteride, the active ingredient in Propecia, had been linked to sexual dysfunction and infertility, and that “users may experience erectile dysfunction even after they stop taking these drugs. However, the new labeling indicates that a number of other sexual adverse events may also be associated with use of these medications. Chances are better that they have a Twitter or Facebook account. And chances are their doctor doesn’t have time to read it either. Their doctor likely gets Propecia information from the Merck sales rep.
Men with receding hairlines who are considering whether to take the hair-loss drug likely know of Propecia risks from their doctor and from the warning label, which states that 1-2 percent of Propecia users may experience temporary sexual problems. It is encouraging that more social media channels are unbiased and reporting that the percentage of Propecia users is a lot higher. And they are reporting that for many men, the sexual side effects are permanent. Propecia can also lead to suicide. The Post-Finasteride Syndrome (PFS) Foundation writes about Daniel Stewart’s suicide on its website. It claims that his death can be linked to the “5-alpha reductase type II enzyme inhibitor finasteride used in the production of Propecia which they argue causes devastating sexual, neurological, and physical side effects.” Naturally, Merck disputes its contention. And the medical community is increasingly warning about Propecia. Recently, Mensjournal.com quoted Dr. Nelson Novick, a clinical professor of dermatology at Mount Sinai School of Medicine in New York. With increasing bombardments from social media and other media channels, the medical community and lawsuits, Merck must be feeling somewhat pressured.